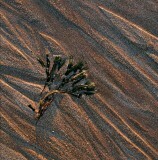 Patterns surround us in the natural and man made worlds. When isolated from their surroundings they become the subject without necessarily having an obvious subject. They are created by lines moving in harmony and can emit felling of energy or calmness depending their form.